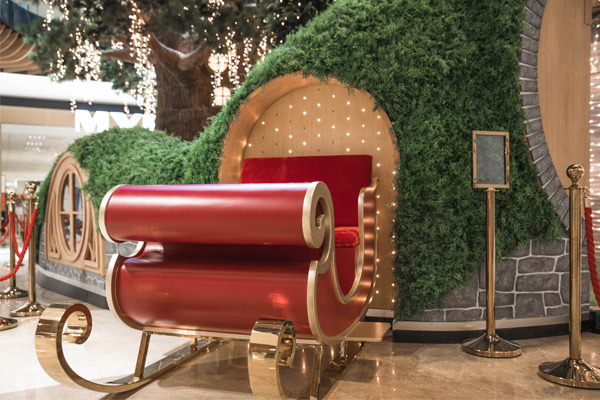 Want to capture a magical moment with Santa this Christmas? The jolly man in red has arrived on the Gold Coast and is ready to get snapped with locals at various locations around town. Why: Santa is at home in a gold sparkly pavilion that is teeming with Christmas trees wrapped in fairy lights and reindeers! Kids can mail a letter to the North Pole and every child that visits Santa will receive a free toy. Why: Children can visit Santa and have their photo taken at the Christmas set. Each child that gets a photo taken will receive a wearable gift, either a cute reindeer or elf headband. Why: Grab a photo with your family and the jolly man himself at his Christmas wonderland. Each child that gets a photo taken will receive a wearable gift, either a cute reindeer or elf headband. Why: Come and visit Santa and tell him what’s on your wish list for Christmas. Head along on a Thursday afternoon in December and you can get a free USB full of photos to share with loved ones. 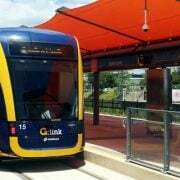 Cost: Free on Thursday afternoons in December from 4pm-7pm, from $12 all other times. Why: Santa is located in an enchanted forest filled with furry forest friends and twinkling lights. There are interactive activities and surprise gifts for Santa’s youngest admirers as well. When: Every day until Christmas. Why: Each child visiting Santa will receive a chocolate treat, plus there is a free gift with each photo package purchased. Why: Are you on the nice list? 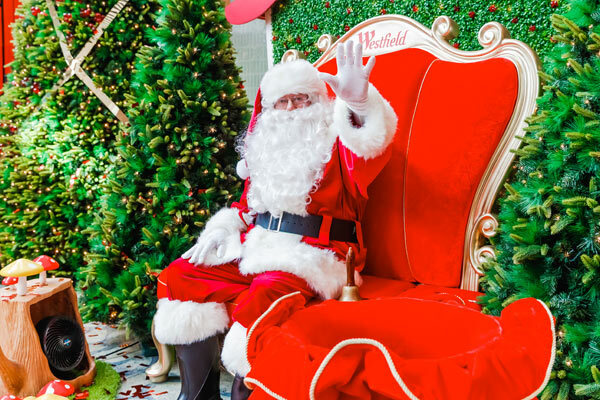 Visit Santa at The Strand and have your photo taken with him this Christmas! 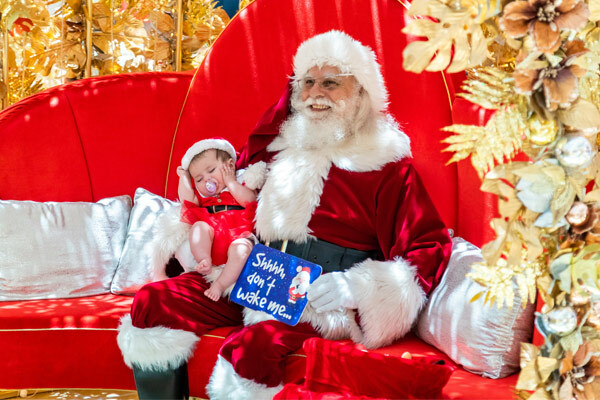 Why: Santa is kicking back in his beach shack for photos at Stockland West Burleigh, so it’s the perfect place for a beachy looking Christmas shot. Where: Ground Floor outside Coles. Why: Have a photos taken with the Jolly man in red and receive a FREE Penguin book. Don’t forget to bring along your Santa letters to drop in his mailbox. When: From December 1st until Christmas. Why: Write a list and come and tell Santa what would add a little sparkle to your Christmas. Why: Snap a selfie with man in red and then enjoy loads for free kids activities. Why: Santa will be in boardies at his beach shack, and families can take selfies with him. He will be surrounded by quirky Christmas trees, roving carollers spreading cheer and more! Where can we get pet Santa photos done this year?